With a book such as Mr Rochester there are bound to be detractors. Sometimes fans of works like Jane Eyre disapprove of derivatives as a matter of course. I prefer to approach things with a more open mind. Does this book alter the characterisation of Rochester? A little. However, I don't think that's a problem. The differences occur because we are viewing his words and actions from a varied perspective, having more information about his background to account for his behaviour. On the whole, I found this a sympathetic portrayal of the iconic character. Naturally, I was eager to get the scenes with Jane, yet I still enjoyed the opening two books on his childhood and life as a naïve young man. I would recommend Mr Rochester to fans of Jane Eyre who aren't afraid to allow a little leeway in interpretation, and, of course, to readers who enjoy these kinds of derivative works. 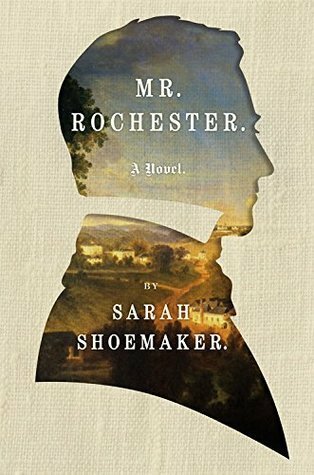 Overall, Mr Rochester is an easygoing and delightful read that manages to feel both familiar and new.